Princesses Disney gather for a sports marathon. In this race all fans of running and outdoor activities gather. A distinctive feature of this event is that after the race begins a colorful show. Runners are sprinkled with paint. And now back to the game itself. We have princesses Cinderella, Mulan, Elsa and Moana here. These beauties have an excellent sports form and they do not need to hide extra pounds. So let's help girls choose beautiful and comfortable sneakers, T-shirts and other sports equipment. In addition, you need to pick up their numbers, under which the athletes are recorded. Well, the most fun and important thing in this game is to choose six colors of colors, which at the end of the marathon adorn athletes. Do you love Monster High dress up games? We added more games, in which we can pick out the outfit for your favorite heroes. Played: 17964. Added: 12-10-2017, 09:03. Princesses Disney dress up game. 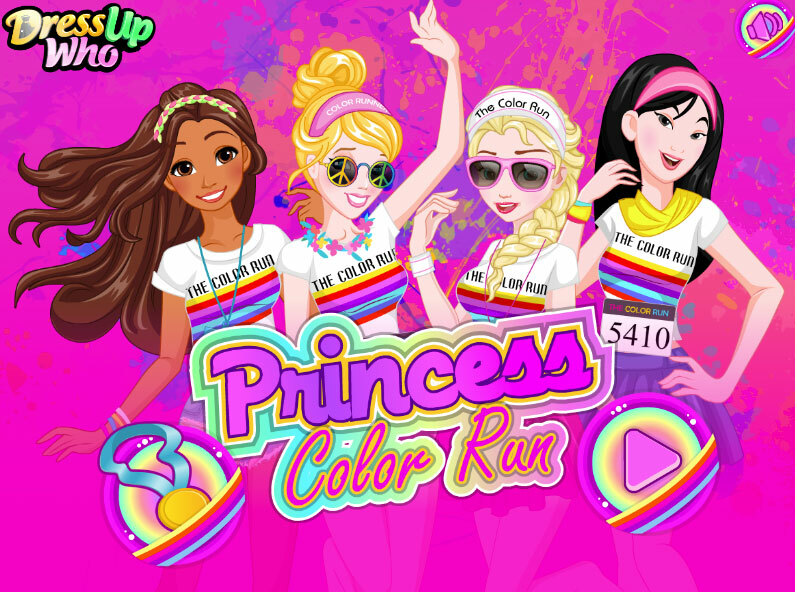 Color run dress up game.